Swatch recently caused some commotion by trademarking the term "one more thing", a line regularly used by Apple founder Steve Jobs - and recently by Apple CEO Tim Cook when he revealed the Apple Watch. 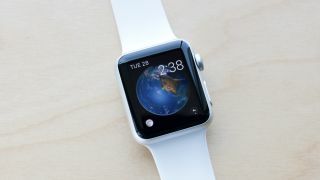 Some commentators accused the Swiss watch maker of taking a petty jab at the Cupertino, which only launched its smartwatch on the market in April this year. Swatch, however, denies such claims. A company spokesperson told techradar: "In principle, Swatch trademarks all of its watch names (or names of its collections) in different categories. In the current collection, you can find names like 'Moitié-Moitié' or 'Centrino', which were inspired by culinary specialties (the very famous Swiss cheese fondue), or by Technics. Others are inspired by movies. "In this case, the name was inspired by inspector Columbo's citation 'Just one more thing' – obviously our design team plans to launch a collection inspired by the 'Film Noir'." Swatch might just be joking around here, but we'll allow for the possibility that it just divulged a future product lineup. The problem is that it's all too perfectly timed. A year ago Swatch tried to stop Apple registering the 'iWatch' trademark, stating that it was too similar to its 'iSwatch' brand. Eventually it let the proceedings go ahead. Furthermore, Swatch chief exec Nick Hayek recently dismissed the new Apple Watch as an "interesting toy" but not a "revolution". Perhaps Swatch sees the Apple Watch as less of a threat to its traditional watches, and more of one to its own smartwatch efforts, which we're expecting to see more of in the coming months.